To be completely honest, when I got “e psilon” into my hands for the first time, and judging purely by the cover of the album, I half-expected a sugar-coated bunch of screaming late teenagers. Alas, as the saying “don’t judge book by its cover”, I was, must admit, pleasantly surprised by the contents. 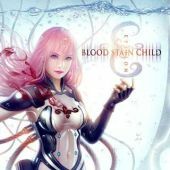 While I have not had much experience with Blood Stain Child in the past, I think I may just check up on them once in a while from now on, just to see if they grow further, better. 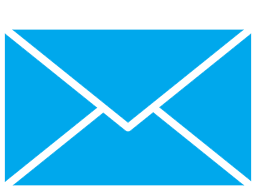 If you look up the word 'e psilon', it is used in many different fields. Now, if you look at the track listing of the “e psilon” album – the titles seem to come from different fields as well; the lyrics seem to have various subjects, yet the thing that binds them together is the variety of meaning of the word 'e psilon' – whether the defined limit, the smallness of something, precision. All in all, the CD is a combination of distinct but connected songs. Music is free-flowing, dynamic, almost colorful. Vocals are quite frankly the forte of this album – I think that the fact that the band had taken on a female vocalist of this quality has greatly improved an already good band. Sophia’s soft but powerful singing, intermittently intertwined with an almost mocking growling – with the bright and upbeat tempo in the background – together give off a sometimes aerie feeling to it – had it not been for the beat. Surprises throughout – an almost club beat slowing down to a serenade; a theme park carousel cheesiness converting into a metal concert venue. Very, very nice. I thoroughly enjoyed the haunting, slightly digitized softness versus almost barked out roughness – I think the balance was just right. Music was, I have to admit, put together seamlessly – and judging from the “resume” that came along with the CD – Blood Stain Child have had their chance to work with some note moguls over the last decade – it shows they know what they’re doing. No unfinished songs. No songs that start just randomly. Another example of what the world knows Japan for – excellence and perfect finish – no cutting corners. “e psilon” will get you moving and keep you going. If you’re a fan of guitars and abstract acoustic solos – please look elsewhere. If you’re a fan of insane drumwork – pick another CD. If you’re looking for a good example of Cyber Metal – definitely give Blood Stain Child a go.